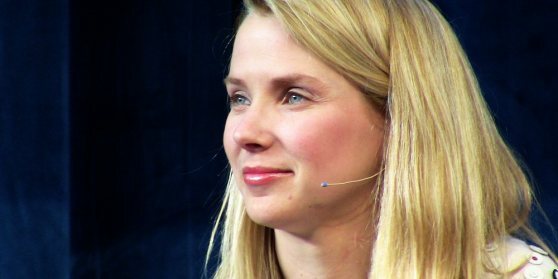 Marissa Mayer is one the top founder executive in Google Inc who is also one of all time best Googler.It is very surprise move for all parties involved,prominent Marissa Mayer may soon be announced officially as Yahoo’s new CEO. Marissa Mayer works at Google included the UIs for Google web search and Gmail.In recent years and months,she also headed up location /local services for Google.Today mid night, Yahoo confirms the news in an investors’ release as stated that Mayer is Yahoo’s new president and CEO as well as its newest board member. When we reach to Google about the news,the co-founder Larry Page also confirm it in a statement as say that when she had come to Google just over 13 years ago as employee at age of 20,Marissa has been a tireless champion of Google users.She contributed to the development of Google Search,Geo and Local products.She will be missed by Googler. Marissa Mayer was first approached about the Yahoo job just last month,will begin in her new role starting tomorrow.When the reporters approch to her about the new job,she has stated in a press release as she is happy and delighted to lead Yahoo,one of the internet’s premier destinations for more than 700 million users,and she hopes to work with the company’s dedicated employees to bring innovative products,content,and personalized experiences to users and advertisers all around the world. Mayer’s appointment as Yahoo’s CEO will put a relatively unsmirched executive with a relatively golden reputation at the head of the troubled company.Yahoo’s past two CEOs have been ousted amid public relations disasters galore.All in all,Mayer’s stellar record and public image seem to make her the perfect PR antidote for Yahoo’s hard luck with CEOs. Yahoo chairman Fred Amoroso says in a statement that Marissa has unparalleled track record in technology,design,and product execution makes her the right leader for Yahoo at this time of enormous opportunity.A CEO position might be just what the doctor ordered for Mayer,as well. While some might question Mayer’s move from the mighty Google to the struggling Yahoo,the jump from vice president to CEO—and not startup CEO—is a big one for her.She should be joining tech powerhouses such as IBM CEO Ginny Rometty,HP CEO Meg Whitman,and Facebook COO Sheryl Sandberg at the top of the executive ladder. The Fortune magazine listed Mayer as one of the 50 most powerful women in the world in 2010.Marissa Mayer(37 yrs)is the youngest woman ever to make that list.She is one of such techno woman has taken the availability to control the hardship with in few minutes and maintain the stability of mind to cover the situation.Recently it is reported that Marissa Mayer is already pregnant but till not confirmed.We hope that she will be success in her new role.